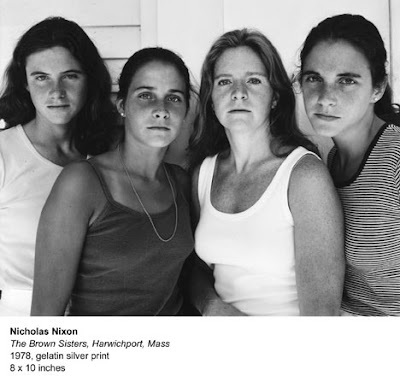 "Sea Change is a study of the tides round the coast of Britain. 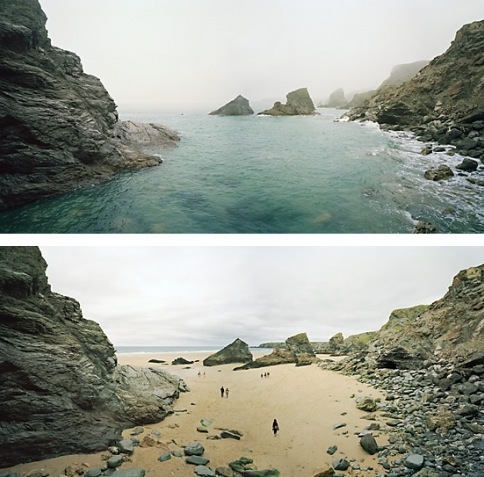 The views in each diptych are taken from identical positions at low tide and high tide, usually 6 or 18 hours apart." "Recent landscape photography often focuses on human shaping (and reshaping) of the environment - urbanisation, globalisation, pollution. Even when critical and committed, this approach can emphasise, even glamorise, humankind's power over nature. I'm interested in rediscovering nature's own powers: the elemental forces and processes that underlie and shape the planet". Marten describes his work as an example of 'comparative photography', "where two or more images show changes in time (or other dimensions)". 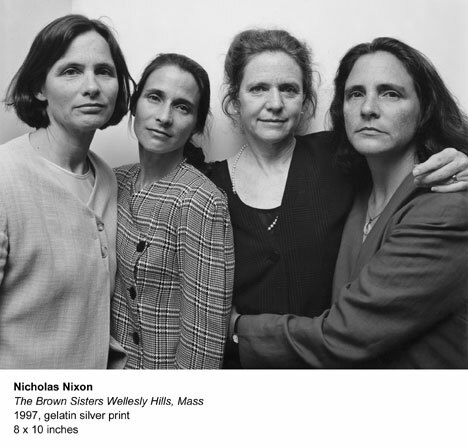 He then makes the example of Nicholas Nixon's The Brown Sisters, a work I confess I did not know, a thirty-year-long series of portraits of Nixon's wife with her three sisters, which I think is the closest thing to a New Topographics of the heart.